Designed to function as a feedback mechanism Compositor RT-z128 actively scans all bands of wave propagation and performs an event in order to protect the station if offending signal detected. Such signal must present in the stations angular vector direction. Compositor RT-z128 actively protects station-registered person. The operation of the station is whole Spherical Interaction Network (SIN). The stations channel waveguides has detectors that protect during the attacks on the station to lower the volume and consistency of offending signals. Two shields of 8th order are used to protect station output from the overloads and also from aliasing. There is DC-offset remover on every of the 72 channels and on the main channel also. This way Compositor RT-z128 can reject both positive and negative amplitude signals, DC-offsets and noise signals. It can also decimate incoming analog synthesizers to the point when they no longer constitute the analog waveform stating the defeat of that analog system. Why white light elongate usual performance of colors? Elongating light is one of the technological questions, which Compositor RT-z128 solves with its internal structure. While pertaining phases of the original signal it synthesizes the sound wave with 64-bit waveguide resonators, which in turn fed with FM synthesized waveform of dynamic properties. Taking in account a Doppler Effect, which leads to Blueshift the light wave is simulated by radio emission chain of sound frequency wave. Compositor RT-z128 outputs the signal in form of sound waves, which characterize original subject signal, whether it of natural or artificial force. With the use of this device you are able to hear the offending device signals, which Compositor RT-z128 transmits in real-time when it is online, preventing other systems fraudulent activity. Real-time FM signal has qualities suitable for achieving the connection to an active radio sources by time and space folding fractal antenna, which is a part of the station. The elliptical topology, which synthesizes real-time signal, is used to feed the transmission of the received signal back to the offending device. With the use of such topology, a synthesized feedback loop establishes with a sender device. Instead of getting the polarity of your signal, the sender device gets the polarity of its own signal with the phases inherited to original transmission. This makes Compositor RT-z128 invisible to the sender device detectors. Not only Compositor RT-z128 station invisible to all spheres of wave propagation it also suitable for defense situations against a wide range of digital or analog synthesis systems. The main idea of Compositor RT-z128 is to break down downscaled white light spectrum into the chunks of real-time music components with characteristics often related to music. The tempo, timbre and rhythmic structure are a basis of a signal transmission for coordinates detection. Compositor RT-z128 builds an entire network of devices sending their coordinates in form of Year nodes, which helps to establish the position where the signal comes from. To bring all of the signals down in a timely manner for uninterruptable performance white light forming component is used to feed the fractal antenna, which sends PWM to clients in a SIN. These client resources are also used to maintain the task of computing Compositor RT-z128 output. The Redshift comes in place when signal travels to the destination object (Compositor RT-z128 enabled machine in our case) and is an opposite of Blueshift. Redshifted waves tend to lower the tonality of a sound, when downscaled to heard spectrum and result in a strong alarm signal when the antenna detects external output. Referring to a phase-scaled output of Compositor RT-z128 one can read the destination traveling route successfully demodulating the signal. Compositor RT-z128 demodulates the signal and returns the scaled output transmission of original signal as a sample of the destination device operation circuit. Such sample can be used to recreate a sending device with all of its properties. Compositor RT-z128 main modules act in a hearable spectrum. The fractal antenna sends infrared emission to the receiving device. This doesn’t mean it outputs the signal in infrared spectrum it means it forms the granular synthesis of FM spectrum, which can be potentially scaled for MHz or GHz transmission using internal modulation. The only infrared emission you get is the emission coming from the CPU and can’t be successfully detected in the environment with strong magnetic interference such as home networks and office buildings. Compositor RT-z128 device is able to form strong electromagnetic interference inside the time and space folded arm, which points to the offending device. Such interference can result in active molecular vibrations, which potentially lead to the malfunction of all the electromagnetic chains of sending equipment. If this equipment will try to send the excessive white noise signal to the machine, running Compositor RT-z128, this station will send the signal back forming a loop. From the Compositor RT-z128 side the internal waveguide 64-bit detectors will smooth the signal and compress it to meet the Compositor RT-z128 internal chain. It leads Compositor RT-z128 operator ability to hear that excess happened without really overloading system output. When such event happens Compositor RT-z128 doesn’t use its CPU resources to handle receiving signal, instead the sending device buffer handles the feedback loop excessive computation resulting in a potential malfunction of offending equipment. 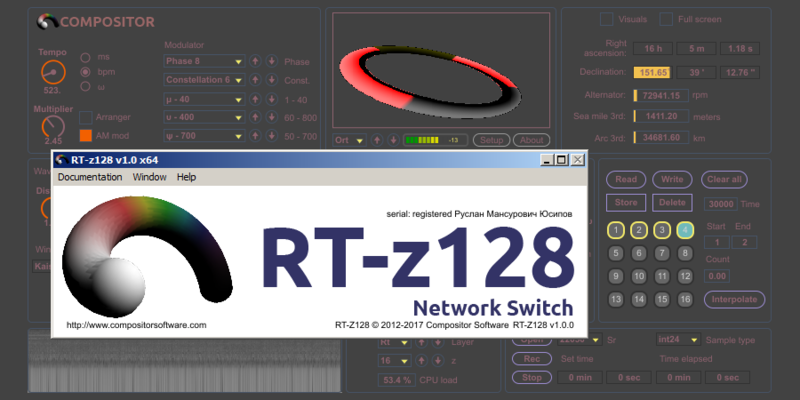 Compositor RT-z128 internal encoder can mask the system position even if a fraudulent force can teach its equipment to understand stations internal feeders signal. In such case encoder is used to obtain a new coordinates in SIN. The spherical network is used to show the position of the incoming threat and covers all spheres of wave propagation. The Doppler Effect is cost effective solution to count sound wave propagation inside the tubes filled with water or air. These waveguides uses 64-bit coding to count the wave traveling back and forth in both directions from client to destination machine. This device is a main linking point, which connects two points in time. By using Year parameter one can setup SIN with several nodes in different time points for using it with Compositor RT-z128 software. Running a Compositor RT-z128 server you can potentially establish links for signal traveling back and forth in time. Such signal traveling routes may be established in a presence of 24/7 server with an ability to maintain the same physical destination in SIN. Compositor RT-z128 synthesis interconnects nodes with internal 64-bit waveguide detectors making it a perfect solution for precise modular orchestration. One-over-f rule achieves proper scaling of waveguide resonant frequencies to a filter pass bands and creates full and rich sound with pristine clear quality. 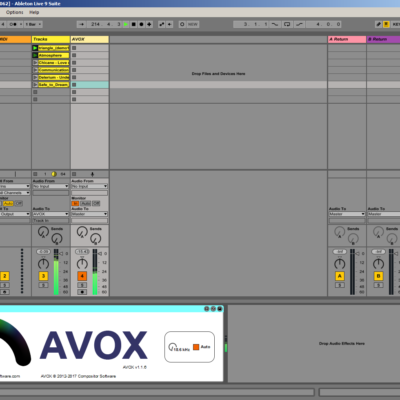 Variable rate granular synthesis is a heart of Compositor RT-z128 virtual machine. Waveguides and reverberation glides grain transmission by a set of window functions. This in fact joins Compositor RT-z128 with optical instruments and makes it a same class by many standards of signal transmission. Quality digital line works error-free without any operational modifications and operator needs. Waveguide devices are a full-band model potentially interconnecting the time-folded signal to a proper operation band. The process of space and time folding after granular synthesis happens inside the waveguides. Once the digital signal enters the tube physical modelling the other channel will receive it error free depending on a ping status. Frequency Modulation, which drives Compositor RT-z128 reconstitutes using granular synthesis. Such granular synthesis achieves forward-backward movement through the pass bands of the harmonic bins. Harmonics can coincide when multiplier factor is 2 (Year = 2000), and form a bell-shaped curvature, which is the Quantum Engine ver. 3 architecture of Compositor RT-z128. This engine unlike the second one, which is the forward tracking curvature reader, is a forward-backward curvature reader with properties suitable for binaural drone design. Compositor RT-z128 can potentially enable traveling of matter in time and space. For this purpose fractal antenna is used achieving time and space folding in a quantum space. The properties of signal must meet criteria of one cycle sequence loop to send to a destination point. The main driving force of electromagnetism is an alternating mechanism of changing polarity by a means of spectral synthesis of white light in a form of Frequency Modulation. As notified earlier one can successfully achieve two caps bell connection for a closed shaped channel with the use of Quantum Engine ver. 3. The recurrent time, with sidereal periods is our present time base. However, the primitive exponential function exists for the calendar with twelve months and an exact 365 days cycle just like in Gregorian Time Scale. For the proper alignment of processor CPU cycles to the exponential function the quantization is used. 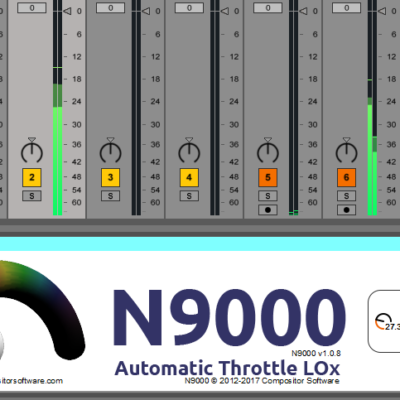 Most of the instruments, such as FF8, AI-RT1024, MDL12 and Compositor RT-z128 use quantized function, but other relies natively on the exponential function to produce the smoother results. Such instruments as TC25, N9000 and AVOX use this primitive exponential function and can be a subject to work with in accordance to quantized function. Look at the Table 1, where the correspondence of exponential primitive function instruments to the derived analogs is shown. Such instruments should work in pair to avoid the Time Collisions. The coincidence of two instruments is a subject of cross modulating quantum leaps. The quantum leap is a measure between exponential point in time and its quantum counterpart, measured as a difference of multiplier values taken for a current harmonic on exponential time scale for both exponential and derived quantized destinations. Such instruments working together synchronized by a work of a Master Oscillator produce a pair of coordinates in digital signal space measured by spectral and time coherence as xyz coordinates. Bessel function amplitude values displays as a coordinate on x axis, phase displays as a coordinate on y axis, frequency displays as a coordinate on z axis. Then internal algorithm converts xyz values into spherical coordinates. The Quantum Engine ver. 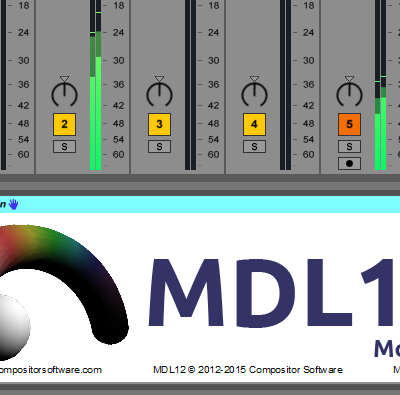 3 architecture of Compositor RT-z128 modules such as AI-RT1024, FF8, MDL12 is a solution of Binaural bell problem. If two identical bells will be stacked bottom to bottom they will never produce any sound outside their resonance cave. The sound will not radiate outside of the Binaural bell and the resonance, which happens inside can lead to time and space effect of folding the spectrum to form a constant modulation of bell fundamental. This effect is verified within a Compositor RT-z128 digital system forming bell sound using Frequency Modulation. The FM distribution will not make resonances at a primitive function moments. In reality harmonics coincide on the quantization grid to form a tone of a final bell producing the effect of unwanted noise signal. The Binaural bell itself will sound masqueraded by a constellation of the modulator. The solution was introduced first in AI-RT1024 product, which is a forward-backward synthesis of FM timbre using a quantized function phases. The synthesis occurs when the window function travels forward through the waveguide tubes approaching Darboux integral steps inside of one bell and then instead of traveling through the second bell start to travel from the top of the second bell towards the center. This achieves constant reconstitution of FM timbre behavior with expansion and contraction of the Binaural bell forming a wave. When the frequency of such reconstitution equals the center frequency of carrier oscillator the FM synthesis occurs. 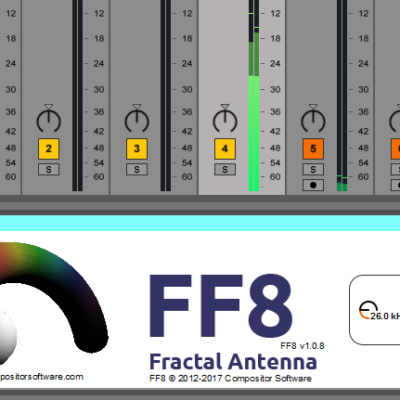 The use of the FF8 fractal antenna makes a perception more clearer with your receiver acting like a feed in regeneration network. Avox spectral selection algorithm splits the spectrum into six bands and can be used to correct mixing errors during the mixing process.